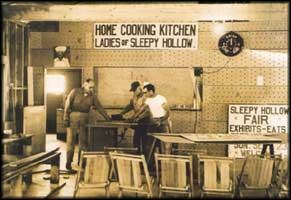 The spirit of volunteerism was planted in Sleepy Hollow in 1946 when the first residents pitched in to build the first part of the clubhouse, then gathered there to cook together, decorate for celebrations, dance, and plan for sewers, open space, stream preservation, and more. 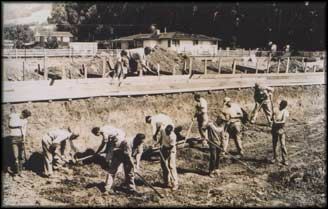 Later they rallied to dig the first community pool, then to open and staff a pre-school, run a blood drive, and still found time to come out for just plain fun. We haven’t been asked to dig foundations or pools lately, but the spirit of volunteering lives on in the hundreds who pitch in to make the July 4th festivities a reality year after year, in the many swim team families who come out every spring for a full work day at the pool, cleaning everything in sight (and some things that have been out of sight). It lives when residents step forward to plan and carry out children’s parties and Friday night socials, produce a new neighborhood directory, contribute information to the Sleepy Hollow Bulletin or design a party invitation, help oversee the pool for family swim season, and even take the recycle out and bring it in the next day, just like at home. If you would like to help, tell us anytime what you could do, and we will be so thankful. Click here to express a volunteer interest for Sleepy Hollow.